Adding some theatricality to the Waterside Festival is the outstanding Ubiquitous Theatre. Last year the amazing vocals and performances from the diverse acts brought the canal side to a standstill and this year is set to be even bigger and better! Back by popular demand will be the mesmerising vocals and performances from local singer Jacob Cole, Queens Park Jazz and 100-strong local choir, Next Stage Choir. 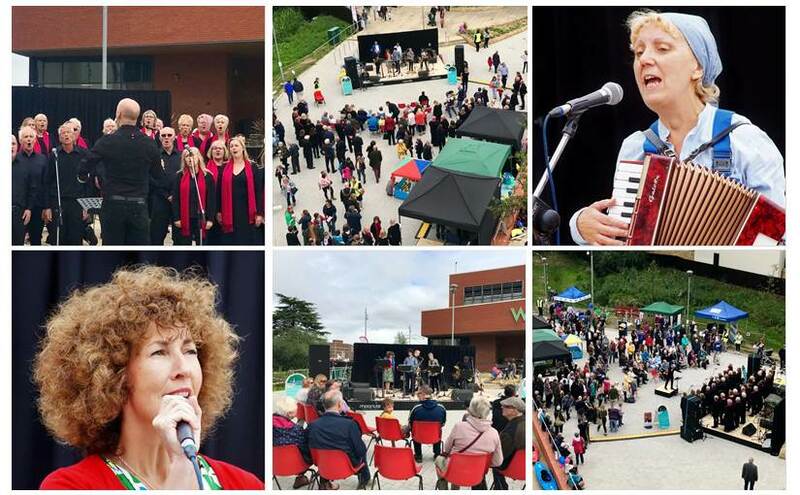 There’s something for everyone at Waterside Festival, from Bhangra and Indian dance and African drumming to Morris Dancing and everything in between! There’ll be performances from Vivo D’Arte Theatre School, Aylesbury Opera Company, Potted Panto, Aylesbury Rocks, and Buckinghamshire’s WI. Ubiquitous Theatre themselves will be taking to the stage to provide even more entertainment to what promises to be a wonderful day.